I hope you all are fine.Today we'll discuss on how to delete spam message automatically. Email and spams are two brother's from same mailing service, one is good and other is bad or simply waste (and some times dangerous too). 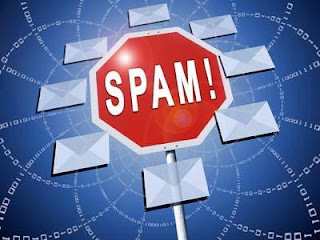 For your safety what Gmail and other good mailing services do, they automatically classify the emails as spams which has came from unknown source or have malware links or content. But these are still in your email storage which sometimes can be dangerous as nowadays hackers sends bot-nets through email spams which trigger the bot attack or sometimes DDOS attack and your machine becomes one of the peer in their network which help them to boost their DDOS attack. Because of this reason, all email services advice its users, not to open unsolicited emails (emails received from unknown email address) and delete the spam emails on regular basis. But i know, none of us care of spam emails and even never deletes these emails. For lazy peoples like me i come up with my new post, how to delete spam emails without any effort just requires one minute configuration and then spam emails will get deleted automatically. So lets learnhow to delete spam emails automatically in Gmail. 4. Now a warning pop up will come as shown below, just click on OK.
6. That's all my friends. Now you need not to take care about spams, it will be emptied automatically. Note: If you send the emails from inbox to spam those will not be filtered using this method. I hope you like the efforts....Enjoy and don't forget to comment.